For a while, I thought once I kissed my teenage years goodbye, I’d be kissing acne goodbye too. But I’ve realized that, though it’s gotten better over the years, I’m still prone to the odd zit or seven, especially the week before my period. I feel like when it comes to acne, we all have certain spots where we are more likely to get a pimple. For some, acne appears where they hold their phone closest to their face. For some others, it’s always been around my nose and my upper lip. However, it turns out that popping the pimples around your nose is deadly because the central triangle of your face which includes your nose and upper lip have another nickname in the medical community… the deadly triangle. You can go ahead and pop all the pimples you want on your forehead. Attack the acne on your chin with ruthless abandon. But leave the deadly triangle alone. Yup, this space on your face is so death-prone that science and medicine had to give it this ridiculous sounding name. Popping a pimple in this area could literally kill you. That’s because the blood vessels in this area drain to the back of your head. If you innocently pop a pimple in the danger triangle and it becomes infected, that can lead to stuff like loss of vision, meningitis, a brain abscess, or even death. 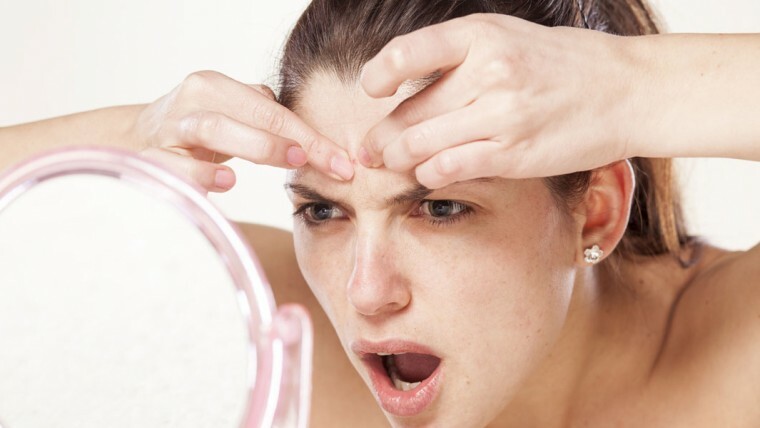 It’s ridiculously tempting to pop your pimples during an outbreak of acne. I have to be totally honest, I can’t see myself NOT popping a ripe and juicy pimple that’s ready to go even if it IS in the so-called danger triangle. If you’ve got a pimple in the danger zone and you have to get it rid of it there are lots of ways to do it without popping the pimple. Try applying a warm washcloth to open up the pore. Overnight drying creams are also a great option, along with just plain old steam to help the pore open without putting dangerous force on your face. Also, doing all that stuff you’re supposed to do to prevent getting pimples in the first place is probably a good idea, too.